For many teens, August heralds the return to school. For student-athletes, their families, coaches, and the community, the start of school means that fall sports are close at hand. Make sure to order items from ABR Print early to show support for your team. 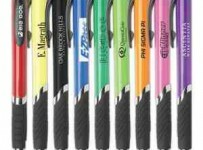 For the students, try selling lanyards, keychains, and pens. These are visible and will be used regularly by high schoolers. These items are also easy to pass out at pep rallies and games. In order to show school spirit and support, also consider buying banners to place both indoors, such as the gym, and along fences where commuter traffic, buses, and students pass. This is also a great way to honor graduating seniors. 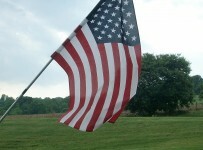 Banners could also be sold for tailgating and for family members to display in their yards. Family members can get in on the team spirit and other ways, as well. Magnets and stickers are school staples, but ABR Print also has items such as hats, sweatshirts, and fleece jackets. There are even an assortment of hats, headbands and beanies. For younger siblings, cousins, and future athletes, there are even onesies and other kids’ clothing items. Need to pack items for game day? Print a tote or drawstring bag with a number and logo. Last but not least, these items can also be sold as fundraisers or raffled off. These items can also be made into a gift bag and included in a silent auction. For smaller events or end of season thank-you’s, consider having a mug made up with the person’s name and school mascot. The mug can then be filled with candy, gift cards, pens, lotions, or nail polish. Though the days are still hot, it is time to think ahead to cool fall football nights. 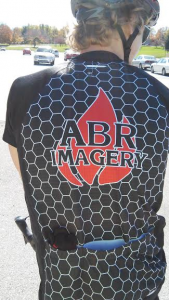 Make sure to call ABR Print today to get gear for your whole family.